If you are the parent of a tween – or even a pre-tween – you are probably dreading the moment that they ask for a mobile phone (make that a Smartphone). As kids want phones at increasingly younger ages, many parents will undoubtedly come face-to-face with a hard decision to make. It’s important for parents to step back and examine if a child is mature enough to handle the responsibility that comes wrapped up in a Smartphone. Is your child prepared for a Smartphone? Before we rush to buy our child a Smartphone, we need to take a serious look at our child’s responsibility and judgment skills. 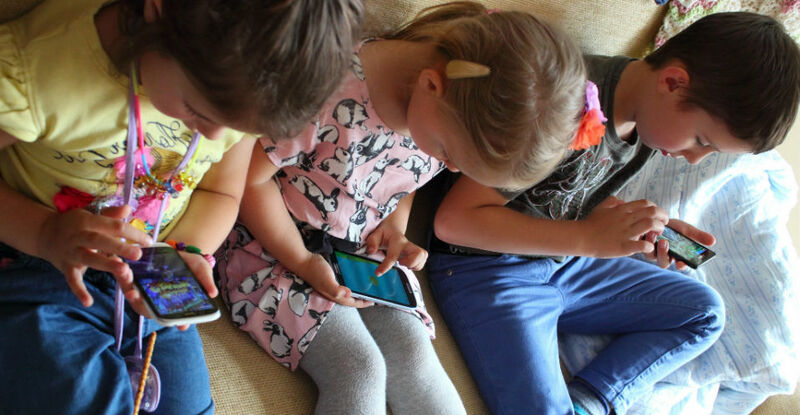 Research estimates that 75% of eight-year-olds access “smart” devices on a regular basis. Furthermore, 78% of teens possess their own mobile phone. All this connectivity doesn’t necessarily mean children have the know-how to navigate full-time ownership of a Smartphone. Is my son or daughter able to make good choices or demonstrate mature reasoning? Can my child properly care for his or her belongings? Does my child understand the permanence of social media and the Internet? Has our family talked about social media etiquette? If you answered “no” to any of the above questions, it might be wise to forgo the Smartphone this year. However, if you answered “yes” your child is a good candidate for owning his or her own device. Thankfully, parents can take steps to safeguard their children from the dizzying world of sexting, online predators, cyber bullies and disappearing messages. It is important to know the common pitfalls children encounter on the Internet and social media. Did you know that sexting is now considered a ‘normal‘ part of development? Or that cyber-bullying rates have tripled within the last year? Understanding the realities of what children face is critical if we are to help them avoid the dangers lurking behind the glow of their screen. Take a few minutes to walk your child through their privacy settings. Ensure they are protected and safely using their device. Begin an on-going dialogue regarding social media etiquette, online predators, sexting and cyber-bullying. Discuss the permanence of social media. As a child gets older, you can broach these tough topics. However, make sure they understand that the Internet never forgets and what they post today can haunt them for a long time. Take advantage of monitoring software to know your child’s Internet and mobile phone behaviours. This is critical in the beginning as children still need guidance as they learn new skills. However, as a child matures and demonstrates responsible Smartphone ownership, you can loosen the reins and allow more independence. Limit technology to common living areas and keep devices out of bedrooms. This allows parents to keep an eye on activity and spot trouble before it spirals out of control. It also ensures that a child’s Smartphone doesn’t interfere with their sleep or homework. Create a contract for owning a Smartphone. Sit down as a family and develop a document that states the expectations and outlines consequences. Outlining the rules ultimately helps prevent future disagreements and problems from developing. Will your child be receiving a Smartphone any time soon? Freelance writer and tech geek, Hilary Smith, specializes in covering the world of digital parenting. She has a degree in journalism from Northwestern. This Texas native braves the winters in Chicago with her ever-so-slightly spoiled English bulldog, Chauncey, and her two children aged 4 and 7.